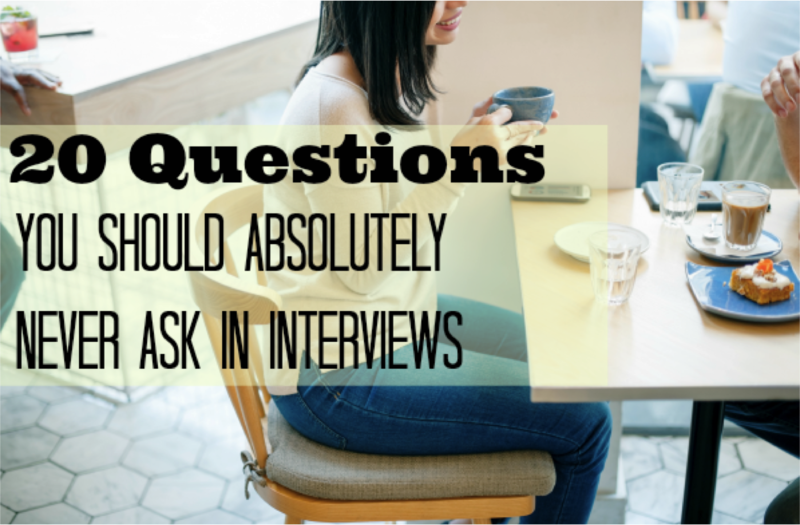 Are you applying for jobs, but not landing interviews? This is one of the most common challenges faced by job searchers today and one that has a simple solution of presenting yourself, in your resume, as the best fit. In this blog post, we will share the best tool for assessing job fit, how to conduct fit analysis, and how to communicate best fit in your resume. If you’re applying for jobs like crazy without landing any interviews, you’re likely not paying enough attention to the job description itself. Job descriptions are one of the most important resources you use when submitting your resume or prepping for an interview because they contain valuable information and keywords, directly from HR or the hiring manager. If you don’t understand how to read job descriptions and speak to them in your resume or cover letter, you won’t attract the attention of the hiring manager as he/she skims hundreds of competing resumes. 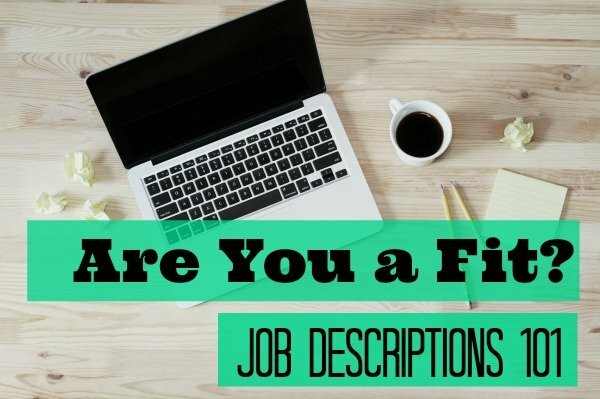 Here is what you need to know about using job descriptions to land more interviews and offers. In my experience recruiting candidates for a small company, I witnessed candidate/job description misalignment first hand. Of the 150 resumes I reviewed, approximately five (five!) were readable and included all the skills listed in the job posting. I was recruiting for an accounting/administrative assistant position and received resumes from people in totally unrelated fields and career paths. Some applicants included appropriate skills but lacked the company software experience. Some indicated enthusiasm for tennis and other recreations instead of using valuable resume real estate to promote themselves appropriately. Very few were on point and based on the resumes alone, most applicants were not qualified for the position—which was actually not true in all cases. Many were indeed qualified, but the resume didn’t communicate this! Talk about a lost opportunity. It’s your job to make your resume really speak to the hiring manager’s needs as communicated in the job description. After an initial review of the description, the job might seem attractive, but after digging deeper you realize that you have no experience with any of the software mentioned or you’re only familiar with half the tasks. Aligning your experience with a job posting can be difficult, but it’s crucial to know if you are qualified for the position and if the description does, in fact, match your experience. Job descriptions, even for the same type of job, vary wildly from company to company and market to market; experience or skill sets required for a job at a small company in Miami might be different for a similar position with a corporation in Milwaukee. It’s also important to be very honest with yourself about what you CAN do and what you CAN NOT do. It’s not enough to WANT to do a job. You must have some level of relevant experience that indicates to the hiring manager you can DO the job! I worked with one resume client who had a strong background in international shipping and was upset when he didn’t get a call for an interview for a food production position in which his transferable skills did not align. If you’re a career changer, the transferable skills and level must align to show fit so evaluating the job description thoroughly and tailoring becomes even MORE critical. Even if you’ve hired a professional resume writer to craft your brand-new resume, without analyzing the job descriptions correctly you will experience trouble landing an interview. In many cases, after a client leaves with a great resume, he/she uses the new resume to quick-apply for jobs that aren’t appropriate – some of them aren’t even a distant fit! If the resume writing service you purchased doesn’t offer a guarantee, you might be falling victim to job description misalignment. Through NG Career Strategy’s 30-day resume guarantee, fortunately, we’ve been able to catch a number of former clients targeting the wrong job descriptions with their new resumes. Here’s a case study on one client who landed the job after we helped her figure out her job description fit. Lacking experience and being unrealistic are two pitfalls you want to avoid. However, having experience but lacking confidence is another. You may not be a 100% fit on paper, but you’ll still want to consider applying based on partial fit. How do you know if a partial fit is worth it? Look at the job description and make sure you can do at least 80% of what is asked. According to a 2016 recruiter survey by RiseSmart, recruiters aim for about 80% compatibility of resumes to job descriptions. That 80% should include the requirements. Make sure you can use the software or programs in the listing, and if you can, put them by name in the skills section. Here are 50 keywords you might want to consider adding to your resume. Look at what is required versus recommended or “a plus.” “Recommended” or “plus” skills could also include programs or software that you’re only “familiar with” because, for instance, colleagues used them when you worked together. You could probably pass the ATS without including the recommended skills. “Required” skills, though, probably not. If you don’t understand the job description, either move on to the next one or read it until you comprehend. Guessing haphazardly about what to put in your resume will be evident with your submission and won’t improve your chances. I’ve seen resumes in which candidates tried to add skills or descriptions they don’t understand; the attempt to match the posted description is obvious to a professional resume writer or recruiter. Sometimes even the ATS can catch the disconnect. It’s normal if this all sounds a bit overwhelming. Many job descriptions are too complicated or vague. Sometimes Human Resources writes or posts the description without understanding it and the department is too overwhelmed with submissions to keep up. After reading a job description, you might not be sure if you match the 80% that recruiters want. You might not understand how to tailor your resume to that description, or if you can. You might not see the difference between the required parts and the recommended parts. If this is the case, consider finding someone who has worked in hiring or recruiting to help you get past this bump in the road. If you don’t know anyone with hiring experience, the NG Career Strategy team is always available to help! A professional writer or career coach (especially one that has worked in recruiting or hiring) knows how to judge if you are underqualified, overqualified, or a reasonable fit for any position. We understand the job market, recruiting, and how to make your resume stand out when you are an appropriate candidate. We help you improve your chances of landing a position you really want by ensuring that you apply to positions that are worthy of and consistent with your experience and accomplishments. Avoid extra frustration—let us guide you to the best possible resume so you land the best possible position for you. If you want to be fully prepared to apply for jobs, with a keyword and ATS-optimized resume, check out our best-selling package, The Works. It covers all the bases—resume, cover letter, LinkedIn profile, and a 30-minute phone consult with one of our career strategy experts—to give you the best chance at getting hired. This is very helpful. Thank you very much for taking the time to explain. You’re welcome! Thanks for the nice comment!